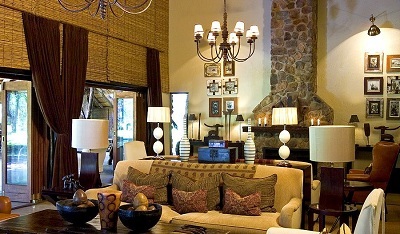 Botswana’s main attraction remains its magnificent wildlife. Botswana’s great variety of game can be attributed to its diverse areas of habitat varying from delta and desert areas to grasslands and savannahs. Almost a 5th of Botswana consists out of wildlife parks where you will be able to see lions, cheetahs, crocodiles, hippos, elephants, antelope, wild dogs, and hundreds of species of birds. Botswana is the world 47th largest country measuring 600,370 km2. This country which is about the size of Texas is one of the most sparsely populated countries on the planet with only 2.06 million people. Botswana is the world’s largest diamond producer producing close to 20% of all diamonds mined. Botswana is a land locked country situated in Southern Africa. Botswana borders South Africa to the south, Namibia on the west and the north and Zimbabwe in the east. Botswana is also connected to Zambia via a narrow strip of land in the north. Approximately 70% of Botswana is covered by the Kalahari Desert. 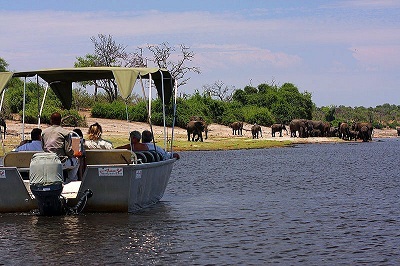 Chobe National Park - The Chobe National Park is a huge grassland reserve that can be divided into various eco systems. The Chobe river front area in the north western part of the reserve has a large floodplain and dense teak and mahogany woodland areas. This is the main watering spot during dry season between May and October. This area is renowned for its huge numbers of Elephant. It is estimated that there can be up to a 100 000 Elephants in the Chobe area. 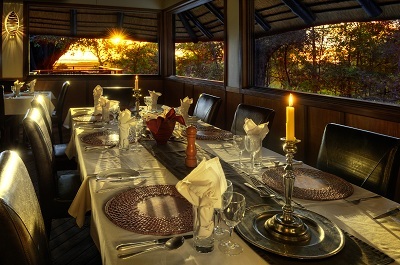 Giraffe, Sable and Cape buffalo are also abundant in Chobe. This is also the only area in Botswana where you will find the elusive Puku antelope. This area also lies in close proximity to the Victoria Falls in Zambia and Zimbabwe making this the most visited section. The Savuti & Linyanti Marshes - The Savuti Marsh is a premier game viewing area in the western part of the Chobe National Park which is covered with savannahs and grasslands. The Savuti is famous for its annual migration of zebras and predators. The Linyanti Marshes which are located in the Northwest corner of the Chobe National Park borders the Linyanti River and can also be recommended for good game viewing. Makgadigadi pans - Southeast of Chobe are Botswana's Makgadikgadi salt pans which attract huge numbers of birds (including Flamingos), throughout the year. This area also supports large herds of blue wildebeest and several species of antelope. The Okavango Delta - The premier game viewing destination in Botswana is The Okavango Delta and the Moremi Game Reserve In the north-western part of Botswana. The Okavango River empties into the Kalahari sands creating the largest inland river delta in the world. This area with its clear waterways and countless small islands does not have as many large animals as other areas of Botswana but it is home to a huge variety of birds, plants, and smaller species of animals. 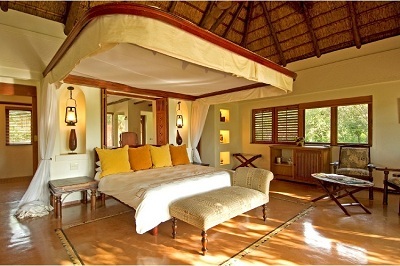 The Moremi Game Reserve encompasses most of the eastern side of the Okavango Delta. The Moremi is a diverse reserve and you will find Mopane woods, Acacia forests, floodplains and lagoons. Only 30% of the Reserve is mainland, with the bulk of the reserve being within the Okavango Delta itself. There nearly 500 species of birds and huge numbers of game like buffalo, giraffe, lion, leopard, cheetah, hyena, jackal, impala, and red lechwe as well as the rare African Wild dog to be viewed in the Moremi. Botswana’s climate is hot and dry for most of the year and receives the majority of its rainfall in summer. October and April receives intermittent rains, while the heaviest downpours occur in January and February. Rainfall varies from area to area with area. The northern areas can receive as much as 650mm per year and areas like the Kgalagadi in the south west can receive as little as 250mm per year. Summer is from November to the end of March and can be very hot. But with summer also being the rainy season the rain and clouds can bring relief from the searing heat for short periods of time. Winter is from May and ends in August. Winter is the dry season when almost no rainfall occurs. Winter days are sunny and cool to warm but the evenings can be quite cold and temperatures in some areas can drop to below freezing point, especially in the south-west. From April to early May and September and October it is still dry but the nights tend to be warmer than in winter and the days are cooler than summer. The best time of the year to visit Botswana - Winter is high season in terms of price and visitor numbers, summer is off-peak (or “green") season. 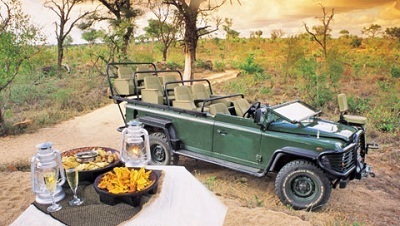 If it is your primary objective to see wildlife, the recommended time to visit the Okavango is between May and November and the Kalahari between January and March Botswana however is such a magnificently diverse country to visit that we suggest you contact us directly to discuss your needs and to determine when you should visit. Botswana’s infrastructure is quite good according to African standards. The quality of infrastructure development can be attributed to the mining industry which required adequate transportation and communication networks. Botswana also benefits from its proximity to South Africa that has allowed access to South Africa's telecommunications infrastructure. Botswana has modern airports in Maun, Gabarone and Kasane with regular scheduled flights between South Africa and the various airports in Botswana on a regular basis. Population of Botswana - Most of the population are blacks who predominantly (about 80%) belong to the Batswana tribe. Other African tribes found in Botswana are the Kalanga, Kgalagadi, Herero, Bayeyi, Hambukush, Basarwa ("San") and the Khoi. There is also a small but vibrant European and Indian population in Botswana. Languages of Botswana - The official language is English but Setswana is the main language spoken with about 77% of population speaking this language. Most people can speak English to some extent. Currency of Botswana - Money Pula (P) The ratio is approximately Pula 6.40 for 1 USD. Vaccination requirements for Botswana - If you are travelling to Botswana from areas infected with Yellow Fever, you must have a valid Yellow Fever vaccination certificate. Otherwise, no other immunisations are required. However, it would be wise to have an updated TPD (tetanus, polio, diphtheria) vaccine, and a Hepatitis A vaccine. Botswana is a Malaria area, so please consult your physician about anti malaria medication. Getting there - Botswana is accessed via Johannesburg. International airlines from Europe, the United States, Asia and Australia fly to Johannesburg South Africa, where clients connect with flights to Gaborone, Maun, Francistown or Kasane. Traveling within Botswana - Most tourist transfers between game lodges in Botswana are done with Air charter services in Light aircraft. Charter flights are the safest and most time efficient way to get from Chobe to the Delta and between the various game concessions where the lodges are situated. These transfers usually have 20kg luggage restrictions in soft bags. Getting from the Kasane Chobe area to the Victoria Falls in both Zambia and Zimbabwe is usually done via private or scheduled road transfers with driver/guides operating the vehicles. Botswana will steal your heart, this unique country with its pristine wilderness, abundant game and friendly people is a must visit destination for any discerning traveller.